Dr. Pradeep Nair joined Cardiovascular Institute of the South in 2015 as an interventional cardiologist. Dr. Nair graduated with University Honors from Carnegie Mellon University in Pittsburgh, Pennsylvania where he earned a Bachelor of Science in Chemistry and a minor in Psychology. He also attended the University of Pittsburgh Graduate School of Public Health. Dr. Nair earned his doctorate at Drexel University College of Medicine in Philadelphia. He went on to complete his residency in internal medicine and fellowships in cardiovascular disease and interventional cardiology at the University of Pittsburgh Medical Center. 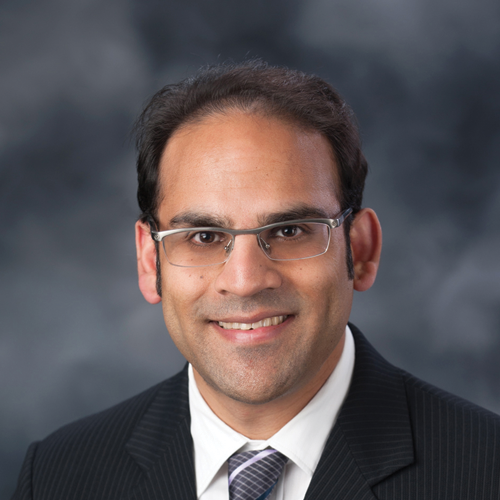 Dr. Nair previously served as the director of interventional cardiology at Somerset Hospital in Pennsylvania while also working as an interventional cardiologist for the Heart and Vascular Institute at the University of Pittsburgh Medical Center. He also spent time as an interventional cardiologist at Excela Health in Pennsylvania. Additionally, Dr. Nair worked as a course instructor at the University of Pittsburgh School of Medicine where he held the title of Clinical Instructor of Medicine. He also volunteered his time at a free medical clinic in Pittsburgh for the undeserved. Dr. Nair is licensed by the State Board of Medicine in Pennsylvania and has also earned the level two certification in cardiac computed tomography. He is currently board certified in internal medicine, cardiovascular disease, interventional cardiology, nuclear cardiology and adult echocardiography. Dr. Nair is a member of the American College of Cardiology, the Society of Cardiac Angiography and Interventions and the American College of Physicians. He has authored multiple peer-reviewed research publications and presented many abstracts at national cardiovascular meetings. He was recognized with several first place awards at the University of Pittsburgh for his research. Currently, he is a reviewer for the Journal of Invasive Cardiology.